Applying LEDs in offline retrofit lamps seems straightforward, but should be done with care to achieve similar light quality as the conventional lamp that the user is trying to replace. Light flicker is one of the aspects that need to be considered carefully during LED lamp design to avoid customer complaints from the field. This application note explains the LED lamp flicker phenomena in relation to driver topology and LED characteristics, and provides solutions based on several Richtek LED drivers in combination with specific LED strings. 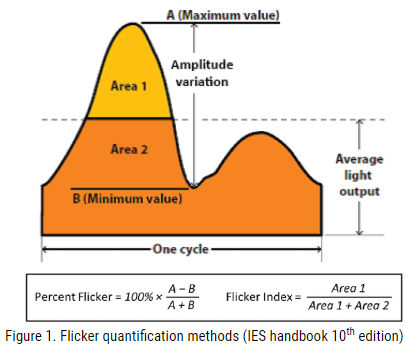 A practical flicker measurement method is explained as well, that can be used to measure light flicker in LED lamps. This entry was posted on Sunday, October 7th, 2018 at 5:00 pm	and is filed under app notes. You can follow any responses to this entry through the RSS 2.0 feed. You can skip to the end and leave a response. Pinging is currently not allowed.